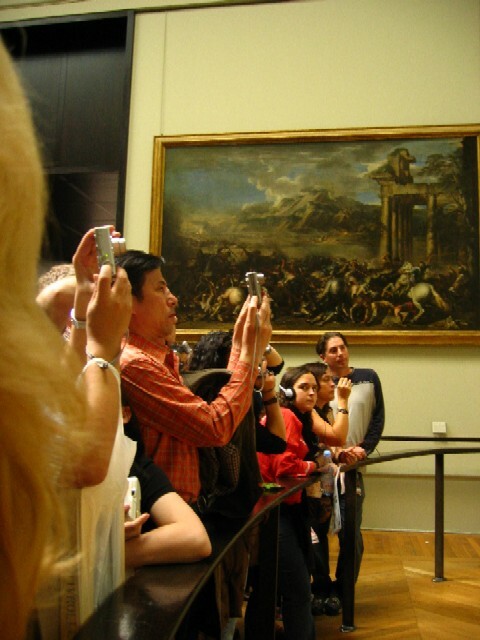 Many things to love about the Lourve…. It’s home to an amazing collection of art work and archelogical treasures. It’s easy get there by Metro (get off at Musee du Louvre and NOT Lourve-Rivoli). It’s also easy to buy tickets at the ticket vending machines. It’s like buying movie tickets at the vending machines of American movie theaters. I spent half my Saturday inside the museum and I know I only covered a fourth of the collection. I need to come back. 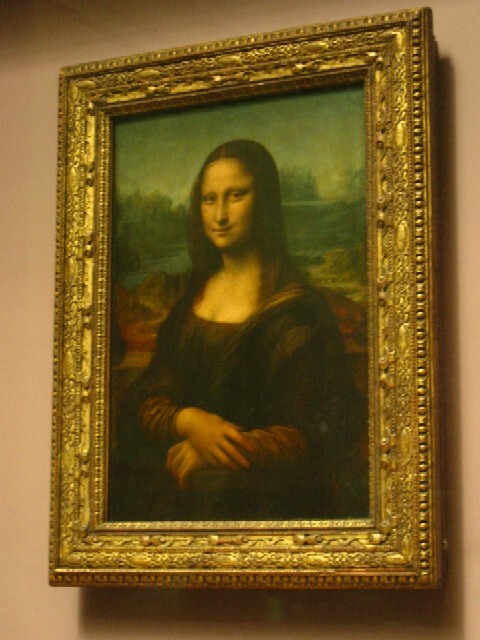 I did hit the world-famous art work – like the Mona Lisa. So did everyone else. It was difficult to enjoy the viewing experience when you have anxious and hyper tour groups bouncing at your side. There was not a line to see the Mona Lisa. A line could have helped. It was like being in the middle of some high-culture mob scene. Sure, I had my camera too….but at least my elbow wasn’t aiming into somebody’s shot. Plus some folks left the flash on their cameras. 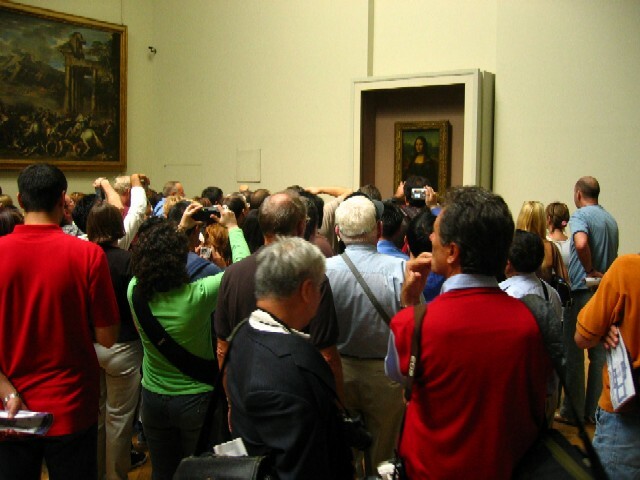 I’ve read too many news reports on how flash photography is slowing rotting the painting. Grrr…..